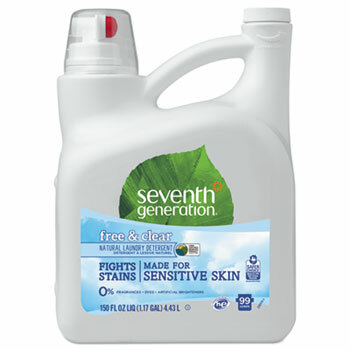 Concentrated formula means more loads washed per bottle than regular liquid detergents. 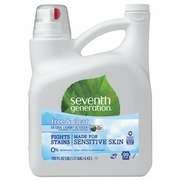 The combination of plant-based substances and enzymes gets out the toughest stains. Nontoxic, biodegradable, hypoallergenic, and free of chlorine, phosphates and petroleum-based ingredients. No artificial fragrances or dyes. Works in high-efficiency or standard machines. No optical brighteners. Not tested on animals. 150oz bottle.